Our friends, Jim and Julie Paschall, opened Paschall Plumbing over thirty years ago. Today, they are semi-retired but still have their hands in the business. 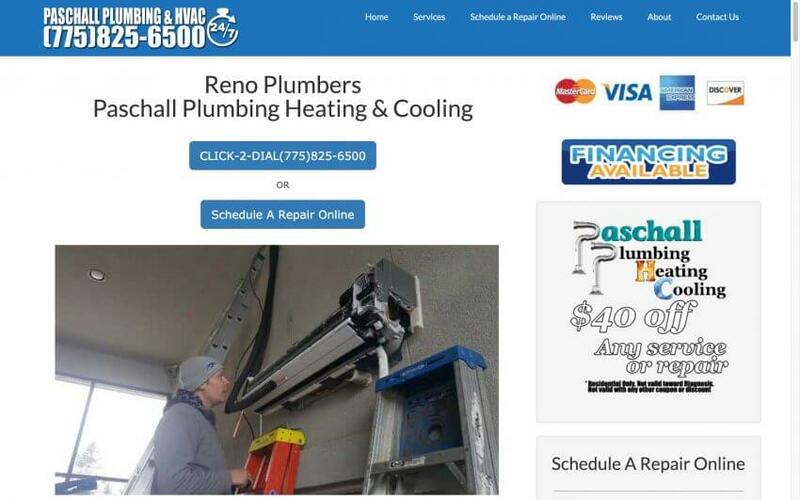 The competition is crazy for Reno plumbers. A couple of years ago, Jim asked us to take over his website. He was paying thousands a month in ad-words and it was really biting into their profits. Since we took over, they are no longer paying for ad-words like Plumb Lane. We diligently review their phrases to be sure they are pertinent to their business and eliminating phrases that are not pertinent. This is just one way we make sure out clients are getting the best bang for their buck!